Childhood depression is a very real problem that often goes unnoticed or untreated. While it is normal for children to become upset, sad, or get the blues, childhood depression goes beyond this to a deeper, lasting sadness. It can be difficult for parents to recognize when their child is in distress. Childhood depression often appears different than depression in adults. Parents may think that their child is being moody or acting out when in reality they are in deep distress. It is important for parents to understand the signs and symptoms of childhood depression so that they can recognize it if it comes up with their children. It is also important to understand that childhood depression is very treatable, and there are several treatment options available. If your child has depression, there is plenty of hope. But first, you must be able to recognize the depression and seek treatment for your child. Childhood depression is much more common than you might think. The CDC did a self-report survey of parents to determine the prevalence of different mental illnesses among children in the United States. Of those surveyed, 2.5 percent of the parents reported that their child had childhood depression. However, childhood depression could easily be more prevalent than this since many children go undiagnosed and untreated. Because many people with depression do not seek treatment until they are adults, it is unknown just how many children may have this mental illness. One of the most important things you can do as a parent is to understand the symptoms of childhood depression. These symptoms are different than the symptoms that you might see with a depressed adult. Children react differently to emotions, and because of that, it can be difficult to recognize childhood depression if you are not familiar with the symptoms. 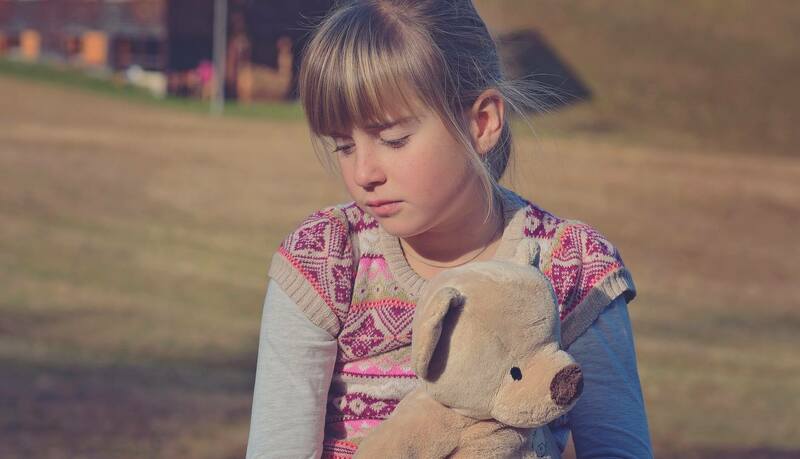 Not all of these symptoms individually spell out childhood depression, but if your child has a number of these symptoms, it may be helpful for you to get them in to see a therapist as quickly as possible. A therapist can make the determination if your child has depression and offer treatment options. One of the most common symptoms of depression at any age is a deep feeling of sadness, however, children sometimes try to hide their feelings. Frequently your child may be feeling very sad, but not express this feeling to you, their friends, or their teachers. Children may not fully understand their feelings of sadness, and if they go on for a long period, they may assume that it is normal to feel that way. Many children who suffer from childhood depression appear very irritable. Their feelings of sadness may come out as irritability or even anger. 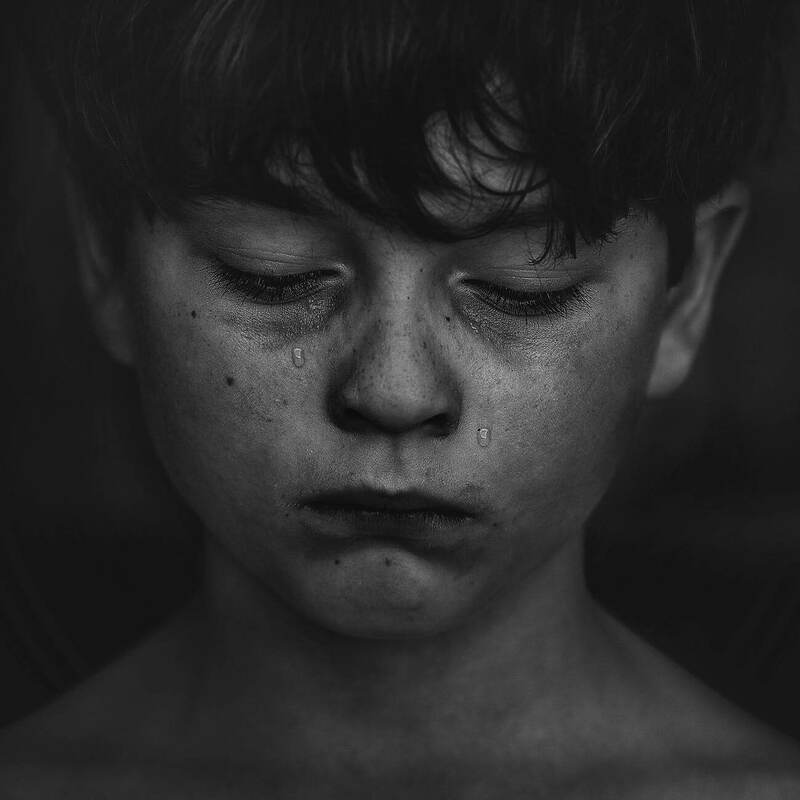 If your child seems to be very easily frustrated with schoolwork or chores or if they lash out frequently at the slightest provocation, they may be suffering from childhood depression. Sleep changes are also prevalent with childhood depression. Your child may have insomnia or be unable to sleep much at all, resulting in deep fatigue. On the other hand, your child may be sleeping too much or spending all their available time in bed. It is important to address sleep problems right away because too much or too little sleep can exacerbate other symptoms. Many children with depression have trouble concentrating. Some children with depression are misdiagnosed as having attention deficit disorder because they are unable to focus in class or on schoolwork. However, depression itself can cause this lack of concentration. Their deep feelings of sadness and irritability could make it difficult for them to focus. Also, sleeping too much or too little can also cause problems with concentration. Many children with depression will have failing grades in school. If your child previously had good grades and suddenly or gradually drop to very low marks, this is an indication that there is something wrong. With childhood depression, this could be an effect due to a lack of concentration, a lack of interest or lack of caring about their grades or school in general. Many children with depression will also have a change in eating habits. Some children eat more when they are depressed, while other children with depression have little or no appetite at all. If you notice that your child's eating habits have suddenly changed and other symptoms of depression are present, this can be an indicator that you need to seek treatment for your child. Mood swings are also quite common in childhood depression. Your child may be laughing at a joke or television show one minute, and extremely irritable or crying the next. This is because many children with depression do have moments where they can laugh, smile and joke, but ultimately the feeling of deep sadness never leaves them, so it is short lived. Many children with depression feel that they are worthless. These feelings can deepen as other symptoms of depression are present, such as failing grades or lack of interest in extracurricular activities. It is important that you pay attention to your child's words and actions and talk to them calmly and rationally if they seem to be struggling. Poor self-esteem can be very common among children with depression and is one of the leading reasons for childhood suicide. Many children with depression cry frequently. They may cry at the drop of a hat without reason, or they may cry at random intervals when something minor goes wrong. If you notice that your child is crying a lot, you should talk to them and try to find out the cause. If other symptoms are also present, you should seek treatment for them since this is a clear sign of depression in children. Children simply do not know how to express their feelings in any other way. Many children with childhood depression will withdraw from friends and family. They will spend more and more time alone in their rooms. They may take frequent walks or spend time outside off in a corner or under a tree alone. They will not spend as much time with friends, and they may cut off those friends entirely not giving a reason for spending so much time alone. A lack of interest in activities is also common with childhood depression. If your child was frequently active in sports or other extracurricular activities and they suddenly withdraw from those activities, it is a clear sign that they may be depressed. If your child suddenly drops a lot of activities or starts talking about not wanting to go to activities, try talking to them to discover their reason. If they are unable to articulate a reason, it might be a sign of childhood depression. Another symptom of childhood depression is a loss of energy. Children with depression will feel as though they are tired all the time and they will not be as active as they once were. You'll know your child has a loss of energy because they will suddenly seem much calmer and lethargic than they previously were. One of the most alarming symptoms of childhood depression are thoughts of death or suicide. However, many children may have these thoughts without ever giving voice to them. You may not have any idea that your child is thinking about death or suicide until they reach very alarming levels of distress. Childhood depression is a very treatable mental illness and the sooner you seek treatment for your child the better results they will have. There are two primary types of treatment for childhood depression, psychotherapy and medication. It is generally recommended that a child undergoes psychotherapy for childhood depression, even if they are taking medication for the illness. Two main forms of psychotherapy are recommended for childhood depression. 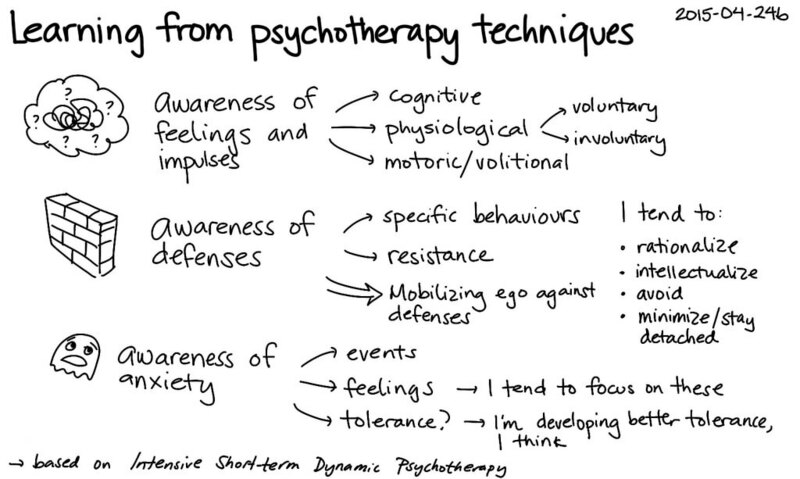 These are individual therapy and family therapy. Studies have found that children who undergo both individual and family therapy have a high success rate of recovering from childhood depression. A combination of these two forms of therapy will help not only the child but also the parents in helping their child cope with their emotions and mental illness. In individual therapy, the therapist will help your child explore their feelings. The therapist will help your child examine their thoughts and replace negative thoughts with more positive thoughts and actions. They will give your child healthy coping mechanisms and explore different ways for them to manage their symptoms. The therapist will also work with your child to discover the specific things that make them sad and help them address those issues. In family therapy, the parents and the child attend therapy together. Family therapy is helpful because it allows you to understand better what your child is feeling and how you can help them. If there are issues with how you interact with your child, on either side, the family therapist can help you address those issues for the betterment of all involved. Few medications are approved for use in children for the treatment of childhood depression. While there are many antidepressants on the market, many of them are not approved for use in children. However, there are a few options available. SSRI antidepressants work by increasing the amount of serotonin available in the brain, thus boosting mood. The only SSRI antidepressants that are approved for use in children for childhood depression is Prozac or fluoxetine. Studies have found that fluoxetine is extremely beneficial for children with depression and the benefits of the medication outweigh the risks. There are other SSRI drugs, but none of them are approved for children, and the studies have found that the risks of them outweigh the benefits. Some studies have found that tricyclic antidepressants can be helpful in treating childhood depression. However, there are some risks involved in using these antidepressants for children. None of these medications are FDA approved for use in children. Also, the FDA has issued a black box warning for antidepressants because they can cause suicidal ideations in children and teens. If your child has any of the symptoms of childhood depression, you should seek out a therapist as quickly as possible. Too many children suffer needlessly from childhood depression, and many of those children may lead to self-harm or suicidal thoughts. It is important that you get help for your child as soon as you noticed that something is wrong. A therapist can evaluate your child to determine if they have a depressive disorder and offer treatment solutions.